1. “Quantitative assessment of seismic damage in R/C structures with and withoutinfill walls”, funded by the EPPO (Earthquake Planning and Protection Organisation of Greece), Feb. 1993 - Aug. 1995. - Scientists in charge: K. Stylianidis - A. Kappos. 2. “Creation of a European scientific and technical co-operation network in the field of Earthquake Structural Engineering”, funded by the European Union / Human Capi­tal and Mobility Programme - Networks, Jan. 1994 - Dec. 1995. - Scientists in charge: A. Kappos (Greece), A. Elnashai (U.K.), P. Y. Bard (France), M., Dolce (Italy), J. Bouwkamp (Germany). 3. “Experimental and analytical study of connections of precast linear elements”, funded by the General Secretariat for Research and Technology of Greece, Nov. 1994 - May 1997. - Budget: 29.5 mill. drs (» £82,000). - Scientists in charge: A. Kappos - K. Stylianidis. 4. “Vulnerability study for the metropolitan area of Volos-N. Ionia”, funded by the Prefecture of Magnesia (Thessaly, Greece), Oct. 1995 – Oct. 2000. The study forms part of the Microzonation and Vulnerability Study of Volos-N. Ionia. - Total Budget: 40 mill. drs (» £108,000). - Scientist in charge for Vulnerability Study: A. Kappos. 5. “Seismic design and performance assessment of reinforced concrete structures made of high-strength materials”, funded by the European Union / ENVIRONMENT & CLIMATE (research training grants), 1.1.1997-31.12.98. 6. “European Network on Seismic Risk, Vulnerability, and Earthquake Scenarios”, funded by the European Union / Inco-Copernicus Programme, Feb. 1997-Mar. 2001. 7. 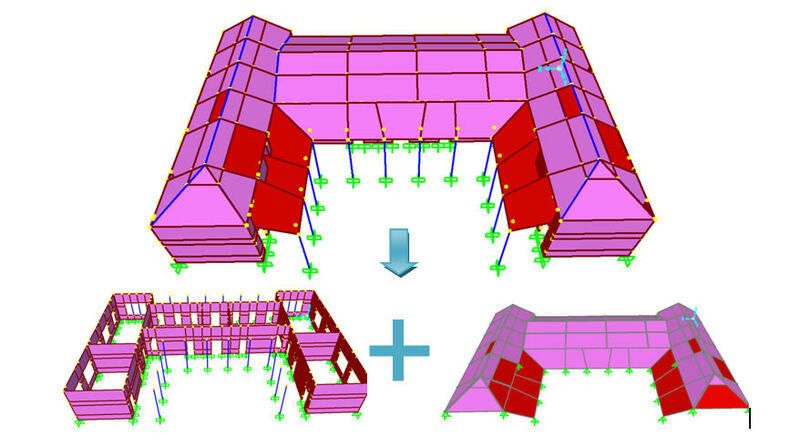 “Fibre-reinforced composite materials (FRP’s) for repair and strengthening of R/C members”, funded by the General Secretariat for Research and Technology of Greece, Apr. 2000-Dec. 2001. 8. “Construction of inelastic displacement and acceleration spectra for Greece”, funded by the EPPO (Earthquake Planning and Protection Organisation of Greece); Dec. 2000-Mar. 2003. 9. “An advanced approach to earthquake risk scenarios with applications to different European towns (Risk-UE)”, funded by the Commission of the European Communities/Environment Programme, Jan. 2001 – Sep. 2004). 10. 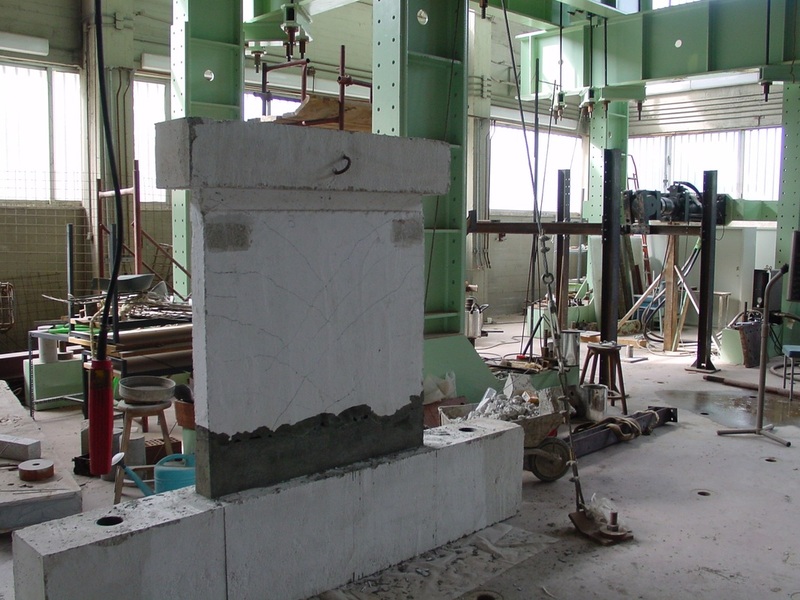 “Drafting of guidelines and forms for the evaluation of damage degree in earthquake-struck buildings” funded by the EPPO; Feb. 2001- Sep. 2003. 11. “The Athens earthquake of 7-9-99: Vulnerability assessment of structures in the earthquake –struck area and comparison with the actual damage distribution due to the earthquake”, funded by the EPPO; May 2001 – Apr. 2004. 12. “Pilot study on the pre-earthquake assessment of school and hospital buildings in the C. Macedonia Region” funded by the C. Macedonia Regional Authority, through the Municipality of Thessaloniki; Sep. 2001 – Sep. 2003. 14. “Earthquake protection of bridges (acronym: ASProGe)” funded by the General Secretariat for Research and Technology of Greece, duration: 3 years, started: 1/10/03. 15. “Seismic vulnerability assessment of existing buildings and development of advances materials and retrofit techniques (acronym: ARISTION)”, funded by the General Secretariat for Research and Technology of Greece, duration: 3 years, started: 1/10/03. 16. “Procedures for optimum use of software for engineering analysis in undergraduate and postgraduate education”, funded by 7 Greek software companies, duration: 2 years, started: 1/1/05. 17. “Experimental investigation of the behaviour of beams in existing reinforced concrete structures strengthened with composite materials and steel fabric”, funded by the General Secretariat for Research and Technology of Greece, duration: 3 years, started: 1/8/05. 18. “Development and proposition for implementation of an efficient methodology and appropriate local instruments for the management, prevention and reduction of seismic risk in Düzce-Turkey, Grevena-Greece and Catania-Italy (SRM-DGC)”, funded by the Commission of the European Communities/ ARCHIMED Programme, Oct. 2006 – Dec. 2007. 19. 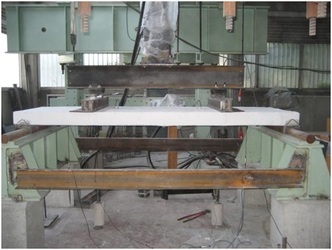 “Assessment of the bearing capacity of buildings in the framework of seismic strengthening”, funded by the Technical Chamber of Greece (started Jan. 2008). 21. 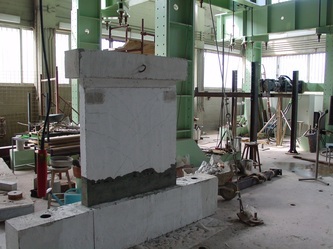 “Investigation of the behaviour of old reinforced concrete columns strengthened with R/C joints” funded by the company PANELCO S.A. (July 2009-July 2010). 24. “Static and dynamic analysis of earthquake-resistant structures” (funded by the Department of Research and Technology of the Greek Government), 1985-86. - Budget: 3.5 mill. drs (» £23,000 1986). 25. “Anticipated response of the buildings in the Thessaloniki area to future earthquake excitations” (same funding agency as in the previous project), 1986-87. - Budget: 2.2 mill. drs (» £14,700 pounds 1986). 26. “Background work on Eurocode No 8 - Common unified rules for structures in seismic regions” (funded by the Commission of European Communities), 1986. 27. “Co-operation of the Government of Cyprus and the Aristotle University of Thessaloniki (AUTh) in the field of Earthq. Engineering and Seismic Design” 1996-2001. - Budget for AUTh: 4.0 mill. drs (» £10,800). 28. “Development of an electronic database of forms for the pre-earthquake assessment and risk evaluation of public buildings and implementation of score assignment scenarios”, funded by the EPPO (OASP), Coordinator Κ. Stylianidis (2003-2004). 29. “Natural Risks Assessment: Harmonisation of Procedures, Quantification and Information (NaRaS)”, funded by the Commission of the European Communities (2004-5). Coordinator of AUTh Working Group: A. Avdelas. - Budget: €240 000 (AUTh: €70 000). 30. “Urban Habitat Constructions under Catastrophic Events (COST C26)”, funded by the Commission of the European Communities (2006-10), Coordinator: F. Mazzolani (University of Naples). Coordinator of AUTh Working Group: C. Baniotopoulos. - Budget: »1 M€, subject to COST rules. 1. “Static and dynamic analysis of earthquake-resistant structures” (funded by the Department of Research and Technology of the Greek Government), 1985-86. 2. “Anticipated response of the buildings in the Thessaloniki area to future earthquake excitations” (same funding agency as in the previous project), 1986-87. 3. “Background work on Eurocode No 8 - Common unified rules for structures in seismic regions” (funded by the Commission of European Communities), 1986. 4. “Co-operation of the Government of Cyprus and the Aristotle University of Thessaloniki (AUTh) in the field of Earthq. Engineering and Seismic Design” 1996-2001. 5. “Development of an electronic database of forms for the pre-earthquake assessment and risk evaluation of public buildings and implementation of score assignment scenarios”, funded by the EPPO (OASP), Coordinator Κ. Stylianidis (2003-2004). 6. “Natural Risks Assessment: Harmonisation of Procedures, Quantification and Information (NaRaS)”, funded by the Commission of the European Communities (2004-5). Coordinator of AUTh Working Group: A. Avdelas. 7. “Urban Habitat Constructions under Catastrophic Events (COST C26)”, funded by the Commission of the European Communities (2006-10), Coordinator: F. Mazzolani (University of Naples). Coordinator of AUTh Working Group: C. Baniotopoulos.